Three brothers. A hen house. A motorcycle engine. 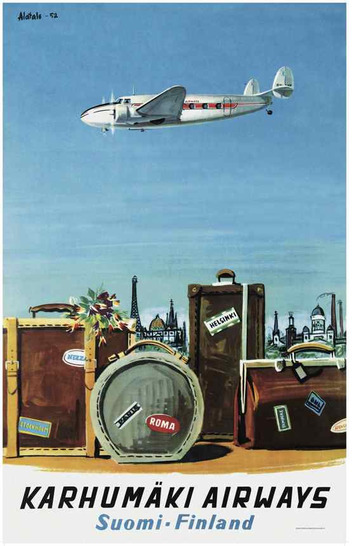 A few decades later, an airline, a factory and a whole community. The brothers Niilo, Valto, and Uuno Karhumäki were certainly not your common idle fellows. At first they built kites, then model planes and later on real airplanes: Karhu I, Karhu II and Karhu III. Not long after this they earned their passenger certificates and started to offer flying tours for the general public. The brothers were also involved in aerial photography and many of the postcards of the era were taken from their flying machines. In addition, they trained pilots and repaired flying machines. In 1939 the company moved to Kuorevesi and there, in the virtual wilderness, a completely new community sprang up around the Karhumäki factory. The village was named Halli. 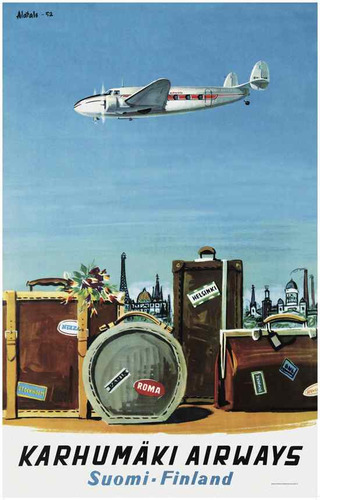 The airline carrier Karhumäki Airways was founded in 1950, but challenging the state monopoly was not easy since the authorities favored Aero in many ways. But so what? Karhumäki flew between Helsinki and Joensuu to Sundsvall in Sweden, later to Stockholm via Tampere. 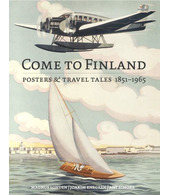 Soon it was the first in Finland to offer charter flights to the south. 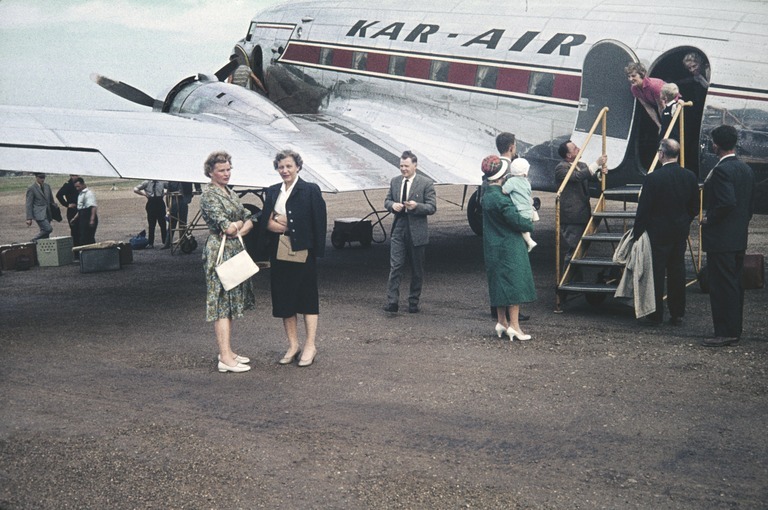 Photo: © Helsinki City Museum by Arvo Kajantie, 1952, Helsinki Airport, with CC BY 4.0-license.